Through a partnership with the Humana Foundation, Big Brothers Big Sisters has launched the LegacyProgram, a new inter-generational mentoring program that will improve relationship development and overall well-being of both adults and children in the program. 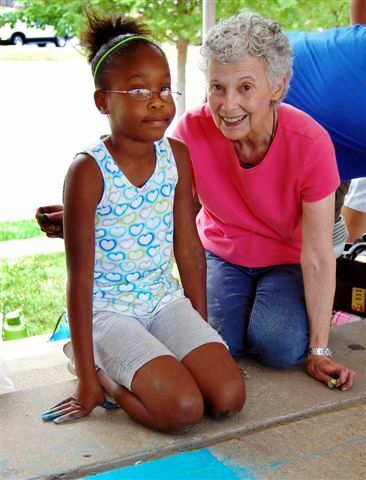 We are seeking volunteer Big Brothers and Big Sisters who are 55 or older. You don’t need special skills to be a Big – just the willingness to listen, offer encouragement and share what you’ve learned about life. For a small commitment of time, you can have a very rewarding experience as you impact a child’s life. Have some fun, learn a few things and make a valuable difference in developing the next generation! Volunteering a few hours a month can start something amazing for a child. "We have done things I haven't done in twenty years and this match has gotten me out doing things I would have never done. This is filling a whole in my heart since I am an empty nester, recently divorced and I have no grandchildren."